After about two months of working hard on printing. We present you with 9 exquisite new printed items this time around. 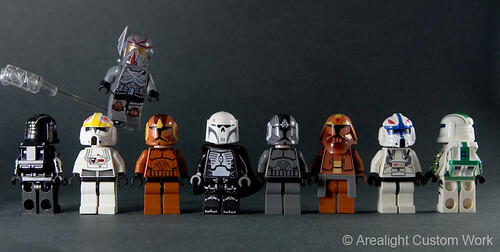 There are 6 printed helmets, 2 printed packs and 1 printed torso. Besides these prints, we have also released our products in Dark Orange as well. We hope you enjoy these new products. Unfortunately we will be temporarily closed from July 29 to August 5. We will ship all orders placed before 12:00 pm (GMT/UTC +8:00) July 29. If you don’t get a chance to place your order before that time, then please check our resellers for your needs during this time. We apologize for any inconvenience that this may cause.